Elegant Siopa Rince dress would suit 9 to 12 years old. Dress was made in November 2010 for Oireachtas. Dress bodice is black velvet with white and gold embroidery. Skirt is fairy/waterfall style with gold trim. 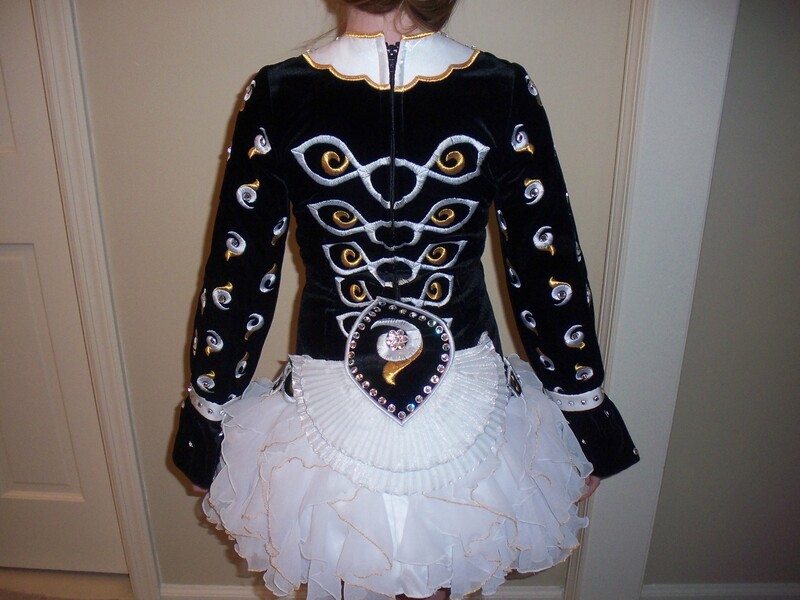 Original design had pleated skirt which did not fit right and so was replaced by Siopa Rince with the fairy skirt. This dress had been meticulously cared for and always worn with dress shields. Sadly outgrown by Open dancer. 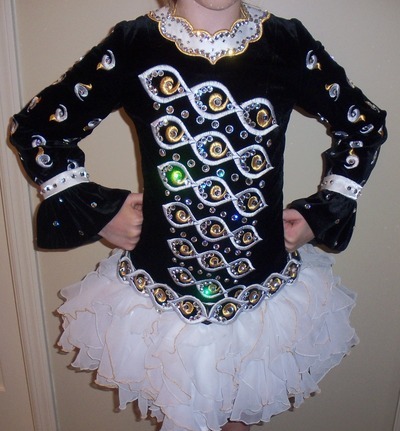 The costume is in excellent condition and adorned with Swarovski crystals. Located in New Jersey, the dress could be tried on at most MAR feiseanna. Includes custom made headband.